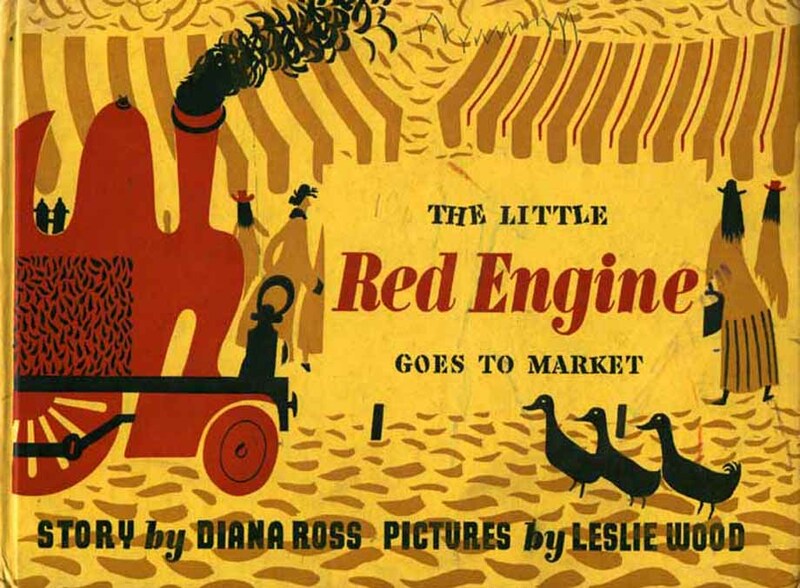 Born in Stockport in 1920, Leslie Wood was trained at Manchester School of Art and became a freelance artist in 1945 with immediate success illustrating the second of Diana Ross' LITTLE RED ENGINE series, THE STORY OF THE LITTLE RED ENGINE for Faber & Faber. 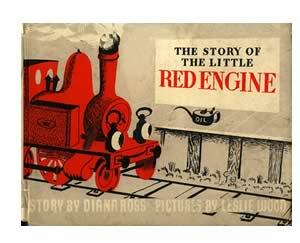 It was the second in the series after Lewitt-Him's illustrations to her THE LITTLE RED ENGINE GETS A NAME of 1942. 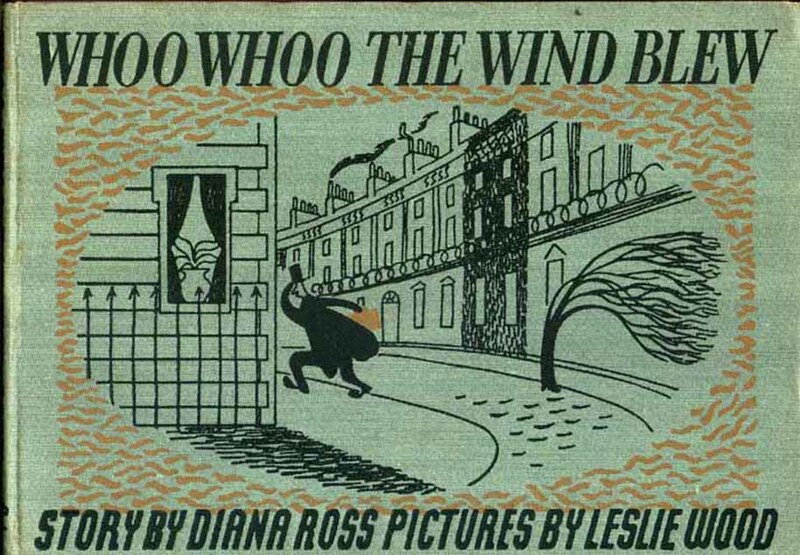 Leslie Wood had shown his drawings to the publishers in 1943 and he was responsible for the rest of the series. 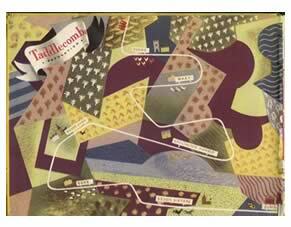 The format is a familiar one - oblong pages with great possibilities for the child in a vast panorama of imagery when opened out. 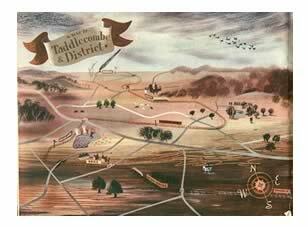 The variations of illustrative elements open to the editorial illustrator are used to their full - e.g. 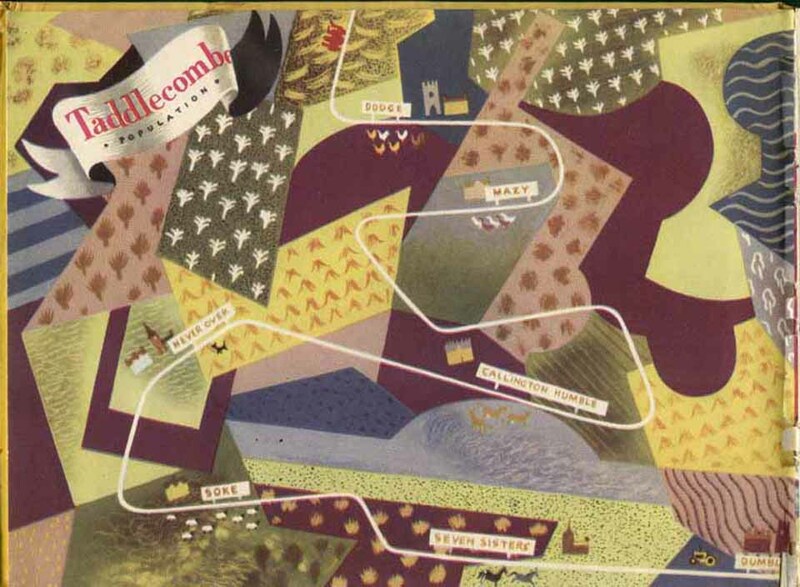 This generation of books for kids (PUFFIN books, King Penguin books, Noel Carrington at Country Life, Katherine Hale's ORLANDO series) made much use of the lithographic process, drawing often directly on the lithographic stone. 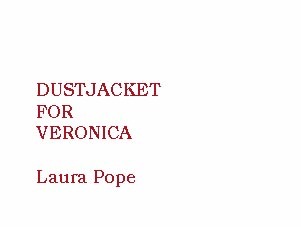 Leslie worked with the Manchester printing firm of Jesse Broad. 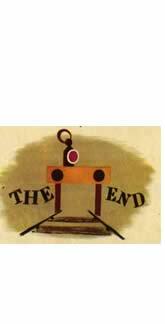 Others worked for the Curwen Press in London, or Cowell's of Ipswich whose Managing Director, Geoffrey Smith was such a pioneer of cheap and lively books for children. 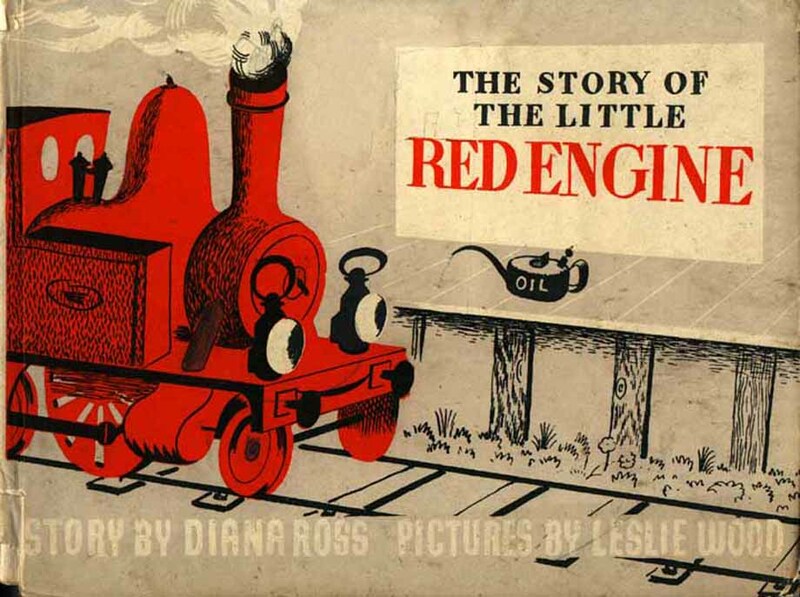 The Little Red Engine books are Leslie Wood in his natural element. 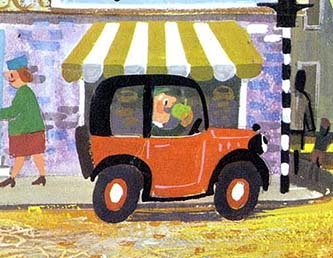 He uses all the rich possibilities of movement across the double page - railway lines and ellipses for the eye. He was a smashing draftsman and never lost an opportunity for tiny natural detail and visual jokes embedded in the landcape. 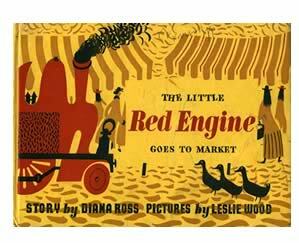 In the sections accessed beneath I have tried to show how Leslie Wood manages to convey pace and variety in telling a story. 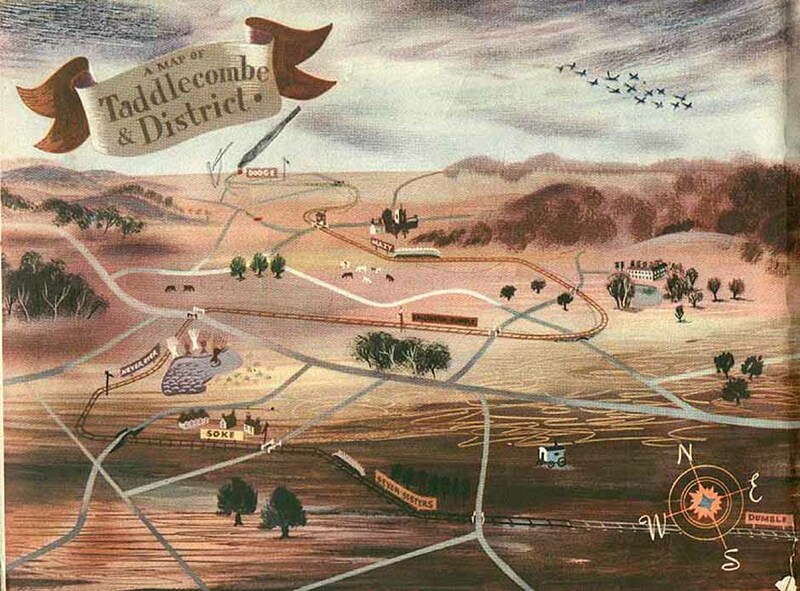 Particularly relevant is his world picture of the lie of the land - Taddlecombe District where the Little Red Engine plies his trade. 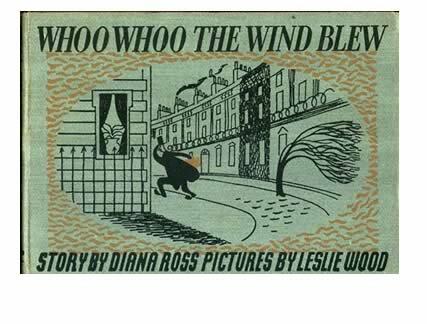 Another successful title was WHOO WHOO THE WIND BLEW for Faber and Faber - printed by The Baynard Press in London. His palette was a characteristic of the post war period - a subdued one of tertiary colours, interspersed with beautiful monochrome wash drawings. With other artists the intent was clearly an economic one, but Leslie Wood was a master at the orchestration of olive greens and browns, greys and oranges. In the matter of shape making he loved the patterns made by manmade structures - boxes, rails and steps - as foils to human activity. above - Leslie Wood and Clifford Carver - the team behind the Oxford Colour Readers and Workbooks.